My path to media literacy education wound through my experiences as a media artist and literature student and my days as a high-school English teacher before arriving at my current roles of media-education scholar and teacher educator. In the middle of this journey, in 1992, I encountered the work of French philosopher-historian Michel Foucault, which, ever since, has inspired and challenged me to rethink what I do with media and literacy. Foucault himself rarely mentioned media and never formally studied it. Furthermore, his ideas about education mostly connected with his notions of surveillance and governmentality in the discipline of subjects –positioning education as an oppressive and conservative institution. I do not connect to education in this way at all; rather, I strive within formal education to afford students opportunities for intellectual growth and freedom. So how could Foucault be my intellectual grandparent for my work in media literacy? Foucault seemed to change his path with each step but chose to see his prior work as preparing him for his next challenge—as something to build on. In his last completed book, The Use of Pleasure: The History of Sexuality, Foucault made sense of his work, much as his critics and followers would later, in three phases: (1) showing that knowledge and truth are constructed of historical contingencies and not inevitable, (2) developing an analytics of power, and (3) understanding subjectivity, or how it is we come to know ourselves in particular ways (Foucault 1990, 6). Each phase proceeded from and incorporated the work of the prior phase(s). I have found myself making sense of my own experiences with media as a learner, an artist, and a teacher by incorporating each into my work in media literacy education—work that revolves around finding ways to seek and share understandings about three main themes that parallel Foucault’s: (1) the constructedness of media in relation to knowledge, truth, and reality; (2) power in relation to media and literacies; and (3) identity in relation to media. 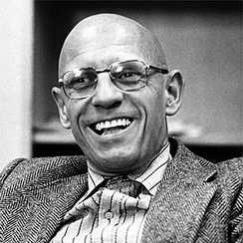 Foucault’s work has inspired and challenged me along the way. 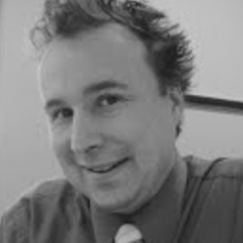 When I first encountered media literacy as a high-school English teacher in 2000, I saw much of what was being done by my colleagues in media literacy–themed classes with texts and meanings as analogous to what Foucault had done with conceptual truths and historical contingencies in his early books. Through critical inquiry with our students, we were disrupting the common-sense truths and taken-for-granted values communicated through various media.